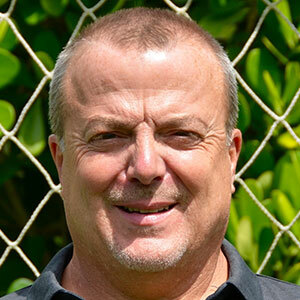 Kevin Schoensee is the International and Youth Scouting Coordinator for The Soccer Syndicate, and also Director of Operations for Acosta Academy. He has been a groundbreaker in Youth Soccer in South Florida and involved with scouting and modern analytics even before joining Sports Management Worldwide (SMWW) as a consultant, part-time instructor and scout. Starting with over 30 students collectively just through private training by founder Felix Acosta and co-founder Paolo Acosta , the first team formed to represent Acosta Academy was in March 2015 to compete in the U13 Boys Copa Univision League in SWFL, finishing runner-up. Acosta Academy continued to expand in quantity and quality by the summer of 2015, forming two U11 3v3 Boys teams, one U12 3v3 Girls Team, and one U18 3v3 Mens team all qualifying for the National Tournament at ESPN Wide World of Sport concluding with two national championships for Acosta Academy! In May of 2018, Acosta Academy supplied players and staff for Lee County (Florida) Strikers’ participation in the prestigious Cordial Cup held in Austria. With competition from over 70 clubs and the likes of Ajax, Red Bull Salzburg, FC Basel, and VFB Stuttgart, The Cordial Cup hosts some of the best youth soccer in the World U11-15. Acosta Academy has grown into one of the most respected training and competitive academies in large part due to the work of its staff and Director, Kevin Schoensee.